I was born and brought up on the Isle of Wight and lived there for the first 19 years of my life. However, it takes a weekend like the one just past to make you fully appreciate what you didn’t while it was on your doorstep. 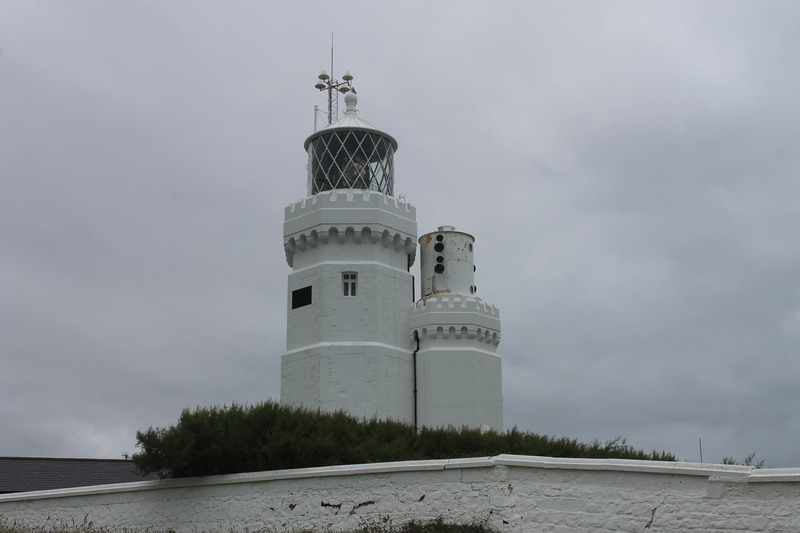 The Isle of Wight is home to two very impressive lighthouses, neither of which I had gone to any effort to visit until about two years ago when I paid a short trip to St Catherine’s lighthouse on the southernmost point of the island with my Dad. 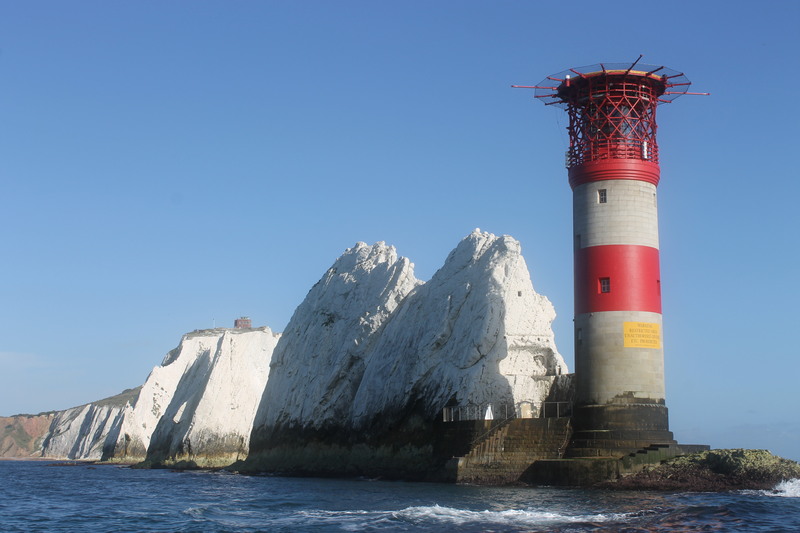 The Needles lighthouse, at the end of a few rocks off of the most westerly point is a real landmark and makes Alum Bay a popular day out for tourists visiting the Isle of Wight. Last weekend Bob and I had arranged a trip to the Isle of Wight so he could meet my parents and a few other family members. A very exciting thing happened while we were waiting for the ferry: Bob gave me a gift. This was not just any gift, however, it was the ‘Admiralty List of Lights and Fog Signals 2012/13’ covering the British Isles and North Coast of France. Now, you may think that most girls would be happy with some conventional gift (flowers, chocolates, a diamond, etc. ), but I clearly do not fall into the “most girls” category as this was hugely exciting for me! It may not be the most readable book in existence (and it only contains one picture – on the cover of The Skerries lighthouse off of the north west point of Anglesey in Wales), but it is going to be a massive help for a project I am currently working on (with constant assistance from Bob). More details about that will follow in a separate blog post soon (intriguing, I know!). So, we arrived on the Isle of Wight and our first lighthouse venture took us to The Needles where we hitched a ride on the chair lift down to the beach. The beach and cliffs are impressive, particularly with all of the coloured sands and, of course, a good view of The Needles and the lighthouse. However, we knew we could get a better view. Now, we had 2 options: option 1 was a pleasant little boat that looked like it gently sailed out to The Needles and stopped there for a while before returning slowly to the beach; option 2, on the other hand, was a RIB (yes, a Rigid Inflatable Boat) that would obviously not be for the faint-hearted, hurtling its way out to the lighthouse, bouncing over the waves as it went. For those who know me (and are aware that swimming isn’t currently within my capabilities) option 1 seemed perfectly sufficient for taking lots of impressive pictures of the lighthouse close up. Bob, though, had other ideas and was keeping his options open. He decided to ask the man who appeared to be distributing the people onto the boats which ride would get us the best view of the lighthouse. Unfortunately, we were informed that the RIB would go all of the way around to the other side of the lighthouse (as Bob pointed out, the side where we would get the best pictures of the lighthouse as a result of the direction of the sun). So, the RIB it was. I’m not going to lie, I did squeal a couple of times and, at one point, shouted to Bob: ‘Take loads of pictures, I can’t let go’ whilst clutching the back of the seat in front of me. Aside from that though, it was a really enjoyable ride and seeing the lighthouse close up and getting some good photos (with the sun behind us) was great. I am pleased I did it. My only concern now is the future RIB rides that Bob has already mentioned a number of times. Eek! For the Saturday night I was, very happily, allocated the task of finding our accommodation and, as you might expect, I made sure it was within walking distance of a lighthouse – St Catherine’s, to be precise. We stayed at Verwood B&B in Niton, a great little place which had mugs with drawings of St Catherine’s lighthouse and St Catherine’s Oratory (an ancient structure and old lighthouse on high land above Niton) – we later found out that these drawings were done by the owner of the B&B who is an artist! We took a stroll down to St Catherine’s lighthouse on the Sunday morning. It’s an interesting structure with two towers, one topped by the light and the other by the fog signal equipment. It operates all day so it’s nice to see the optic in action, although I imagine this is (of course) most impressive in the dark. Bob also took the opportunity to climb a rock that was nearby (standard behaviour for him!). The lighthouse itself is open for tours three days a week, but due to time constraints we were not able to join the tour on Sunday. Definitely something to do in the future though.